This is nothing like an expert guide, just an account of how I went about it, what worked and what didn’t. Before doing anything else, I worked out the budget for my project. I got estimates for the content editing, copyediting and proofreading that I wanted to pay for. I worked out what I could afford to contribute, and I set my target at the minimum level I needed to be able to pay for everything. Don’t be tempted to set your target too high, because if you don’t reach it, you don’t get any of the funding. Then I worked out my reward levels with the target in mind. I wanted people to be able to pledge just a couple of pounds and still get something, but I also included a couple of much higher levels of reward in case anyone was feeling especially generous. Some rewards I set a limit on so that I wouldn’t end up creating excessive work for myself if I got a huge, unanticipated response to the project. For instance, I limited the number of printed books to 50. If all of those were taken, I’d have exceeded my target, and I wouldn’t end up in a situation where I was dealing with shipping thousands of books out. I did make a video, because all the advice suggests that helps massively in getting your project funded. I made mine a bit like a book trailer, so I didn’t film myself speaking. I used some royalty-free music and did some basic editing. I am not an expert, but I think it was worth the time it took to do this. In my campaign story I talked about the book, linked to sample chapters, explained what I wanted the money for, where the project was at, and why I was confident I could complete the project. My advice is to be as clear and concrete as you can with this information. Think of it like a business proposal you’re taking to the bank. You can have fun and show personality, but ultimately you’re asking someone to trust you with their money, so you need to show you’re taking that seriously. Make sure that the focus of your campaign is on the book, not on you and your dreams of becoming a published author. 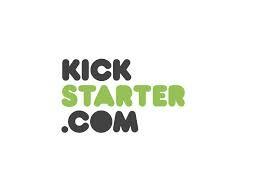 Some campaigns will get traffic via Kickstarter itself. If your project is a staff pick, it will appear on the front page of the site. Some locations generate local traffic. Some kinds of project are more appealing to the community. I got almost no funding via the Kickstarter website. Almost all of my backers are people new to Kickstarter, and of those that have backed previous projects I know that all but one found out about my project elsewhere. You can’t assume that just by putting up your campaign you will generate funding. You have to go out and get backers. Mentioned it on my personal and author FB pages. Added it to my signature on online forums. Posted about it (with permission from moderators) in online forums. Sent an email to friends which included information about the campaign among other things. Contacted a number of other blogs. Signed up to Kicking it Forward, Kicktraq and Ayudos. Talked about it on a writing forum. Tweeting. I tweeted to my followers and also to several of the kickstarter/crowdfunding accounts. I think I got maybe 2 RTs. Contacting other blogs. One posted an enthusiastic link in a weekly news post. No backers. One posted a distinctly unenthusiastic piece about the evils of Kickstarter without a link to my campaign. However, this was not wholly negative, since in the comments, there was some very useful discussion. It’s a blog I regularly follow and know many of the commenters there, so I was able to join in the conversation. I added a new reward level and an update clarifying more financial detail as a result of that conversation and one backer found me through that (indirectly by clicking on the link to my blog which had the link to Kickstarter). Signing up to the other crowdfunding sites. As far as I can tell, no backers came through those channels. Using my own pre-existing online contacts. By far the majority of the backers have come via facebook and Ravelry. Some are people I know pretty well online but many are not. But because they are part of the same communities there’s a predisposition to trust and be interested. Emailing my own RL contacts. I was quite reluctant to do this for various reasons, but by including it as one item in a regular (ish) update I send out anyway, it seemed easier. My strategy of last resort was going to be sending out a similar email to various family members next week. Blogging. I’d posted various updates with links to the campaign which hadn’t had much impact. Then a few days ago, I wrote a post that had been brewing in my head for a while about the nature of Kickstarter and how it relates to arts patronage and commercial creativity. I linked to it from Facebook and twitter and a couple of other forums. That prompted a good number of backers who pledged very generous amounts. Of my 27 backers, 5 are people I know in real life, 3 are online friends, 2 are friends of friends, 2 I have no idea about, and 15 are from online forums. The average pledge is just over £25 (which is a little lower than the overall Kickstarter average of about $50, I think). The most common pledge amount is £10. 7 backers pledged more than they needed to for their reward level and one chose to receive no reward at all. I think only about 40% of Kickstarter projects get funding. If you look at some of the unsuccessful ones, it’s very clear why – not enough information about the project and what the money will be used for. For others, the target level is unrealistically high or the reward levels don’t match the target. If you’re hoping to raise $10,000 with 5,000 $2 pledges you’re just making life hard for yourself. But similarly, don’t expect ten $1000 pledges, either. You need a range and they need to match the rewards you’re offering. But for many unsuccessful campaigns, I think it may be because there isn’t a marketing strategy in place. It helped me to think of selling this campaign in the same way as I would think about selling my book. If one of your reward levels is effectively a simple pre-order, then that’s exactly what you are doing, after all. This was first published in September 2011. Most self-published books these days are primarily sold in digital form because this allows authors to keep the price down and at the same time reach a potentially vast audience. There are specific restrictions – and opportunities – that apply to digital covers, which are worth thinking about to produce something that will really stand out (in the right way) amongst the vast millions of Amazon products. Unlike print books where the cover is the cover is the cover, most digital books are sold with a range of cover images. There is the image that will appear on an ereader screen after the book is downloaded, the image that will appear on the book sales page, and then there is the thumbnail that will appear in search results and lists. This thumbnail is tiny but vital. If you are uploading your book to Amazon, the thumbnail does not have to be the same image that appears as the cover of your book when it is downloaded. This means you can really have fun with it. Which ones work? I’d say that ‘One Day’ and ‘Six Seconds’ both work brilliantly. The images are simple but striking and the text is completely readable (with the exception of David Nicholls’ name). In ‘That Summer in Ischia’ the colour scheme is too subtle and so both the image and the text are indistinct, as well as the text being very small. For Victoria Fox’s ‘Hollywood Sinners’ there is insufficient contrast to read the author’s name properly and the whole cover looks messy and cluttered. ‘Three Weeks To Say Goodbye’ is pretty good and ‘Chosen’ is another one that has faded and become indecipherable at this size. You don’t have to be able to see every detail of the cover but you do have to make sure that the thumbnail works. It’s simple to resize your cover image before uploading it to see what it will look like. The most important thing is that the title is legible. Ideally you also want at least one strong part of the image to be visible too, as in One Day and Six Seconds. Your book cover does not have to be rectangular. It almost looks as though the rings have been laid on top of the book, rather than being part of the cover image. Note that this technique only works when you know what background the image will be on. For Smashwords, I stuck with a rectangular cover because they export the book to so many different retailers that I needed it to conform to the standard. And as I said, the actual cover image that comes with the book download is rectangular too, to fit on your screen. But I love the way that the thumbnail image can stand out a little bit, just by playing with its shape. I don’t think I’d want to take this technique too far. It needs to be clear that what you are selling is a book. But still, there’s fun to be had. Lots of ereaders are black and white, not colour, so the cover image that your readers download needs to work in black and white as well as colour. Check what your cover looks like in black and white before you publish it and, if necessary, make changes to the contrast, add in extra shadows/highlights etc, to make it work. I am not an expert on these matters, but I hope that’s helpful to some of you. Please do share any thoughts, tips or advice in the comments. Or examples of great ebook covers. The Book Designer is launching a new ebook cover design award and I’m really looking forward to seeing what kinds of thing do well in that. Or at least, judging book covers. When I first started wondering about self-publishing my stories, one of the things I did was look at a lot of book covers to try and work out what factors made the difference between something ‘professional’ and something ‘homemade’. I put those in quotes because actually I have no way of knowing which self-published authors paid a professional to produce their cover and which didn’t. I can only tell which ones scream ‘self-published’ and which don’t. What struck me most was the importance of the font, colour and placement of the text. What struck me most was the importance of the font, colour and placement of the text. i) The same font is used for author name and book title, in the same colour and at the same size. ii) It’s a dreadful font. iii) The inconsistent shadowing on the font – compare the shadow on ‘Laura’ with that on ‘Midsummer’. iv) The kerning is really weird – Moon is right up next to Midsummer, while Kinsale is miles away from Laura. v) The alignment is also weird, neither centred nor justified. Look at the right hand edge of the text – none of the four words line up. Sorry, Laura. If it’s any consolation, I’ve bought the book anyway. And the thing is, your brand is so well-established that your covers probably don’t make much difference at all to your sales, which is why I’ve used yours as an example rather than a struggling self-pub newbie. i) The same font is used for name and title, in the same colour, but the name is quite a lot smaller so the two are easily distinguished. Also, because there is other text on the cover, it makes sense to keep the total number of fonts to a minimum. ii) It’s not my favourite font, but it looks professional and is suitable for the genre. iii) There’s some nice simple shadowing on the font – not enough to draw attention to itself but just enough to make the letters stand out. iv) The title is nicely spaced with ‘The’ tucked in below the top risers of Hidden. v) It’s all properly centred. 10. Do not, under ANY circumstances, use Comic Sans. This has got longer than I expected so I’ll do a separate post on specific things to think about for ebook covers. I just had a lovely email from my editor claiming that I am the only author he works with who knows how to write a Flirt. * Flirts are Entangled’s shortest stories, at 10-15,000 words. The next line up is Ever After at 20-40,000 words. 40,000 words is half a good sized novel and almost enough for a category romance (45-50,000 words). So a Flirt is a really different kind of thing. I find writing short much, much easier than writing long. I don’t know if it’s because I’ve done so much academic writing with very strict word counts – even one word over the limit would knock you down a grade. I think I have a natural tendency towards brevity as well. Plus words are the hard bit of writing. Ideas are easy. Anyway, here’s how I go about writing a Flirt. It’s basically three chapters of a book (not necessarily of equal length): Set up; Conflict; Resolution. Easy. In two of my Flirts I’ve helped move the set up along by having characters who already know each other. I think there’s a limit to what you can do from a meet-cute in 10-15,000 words, and it will be hard to find a satisfying conflict unless there’s some background to draw on. The set up will also need to introduce the conflict, just as it would in a longer romance. Then you need to pitch the real struggle in chapter two. This is the key to making the short story work. You’ve got to have a conflict that’s real and significant, but also one that you can resolve in the short space. Your story doesn’t have to take place in a single day, but I think it does need to be relatively compact chronologically as well as narratively. Episodic short stories are weird and unsatisfying, in my experience. You’ll need to have characters who talk to each other about real stuff so that you can get to the heart of their issues quickly. In a longer book, the resolution takes up a comparatively small proportion of the word count, but I think that even in a short story, readers want to be able to enjoy the happy ending and feel sure that it’s real. It’s easy, in this length of story, to use themes, images and phrases that refer back to the set up and the conflict to give a satisfying literary resolution which matches the romantic resolution. I don’t think you have to aim for HEA with a short – happy for now is definitely okay. You’ve dealt with one problem between your characters, but if they are real, complex people, they’ll doubtless face other issues and the reader knows that. Don’t make the resolution bigger than the conflict deserves. I think that’s the key, actually, balancing the set up, the conflict and the resolution. You’re probably not going to tell a grand, sweeping love story that towers across the ages in this short format. What you can do is focus in on one moment of a relationship, and make your readers care about your characters enough to want them to get through this particular hurdle and come out stronger and better on the other side. *It should be pointed out that of the three stand-alone Flirts published so far, one has sold hundreds of thousands of copies, and the other two are mine. So I haven’t exactly got the magic touch. I don’t know if this is useful or not, but it seems to me that there are quite a lot of people (especially authors) who feel like they should be on twitter, or even want to be on twitter, but don’t quite know how to make it work for them. When I first joined twitter, I left after a couple of days because I didn’t get it at all. A year later, I tried again and loved it. It can seem weird and daunting at first, and I would have liked some hints on how to start. So I thought I’d write some. It’s all about the instantaneous connections. You can talk to anyone any time. You can find people talking about the things you’re interested in and talk to them. Complicated debates – 140 characters is just too short for nuance. Advertising – people will tune out and turn off. Choose an easy username to remember. Your own name/pen name is a good place to start. Upload a userpic. You can’t go wrong with a picture of yourself. Find people to follow. Start with your existing internet connections. Check email signatures for twitter names – and follow them. Check the websites you like to visit for twitter accounts – and follow them. Think about what you’re interested in – you can follow breaking news, film critics, craft collectives, whatever. These sort of accounts often won’t interact with you, but will provide great content for you to talk about. Have the twitter account for the job you’re aiming for. If you’re an aspiring author, follow editors, publishers, and the authors you love. If you’re a debut author, follow book reviewers, readers, local media outlets. If you’re already a bestseller, follow whoever you want! You do not have to follow everyone who follows you. It’s polite to reply to people who tweet @ you specifically. You do not have to follow them unless you want to. You can separate out personal friends, news feeds, industry contacts, etc. Then decide which lists only need occasional glances, which need a regular skim, which you want to follow everything. Using a twitter client such as TweetDeck or HootSuite can really help to keep this under control. If you are overwhelmed by your twitter stream, it’s totally okay to unfollow people. If you followed someone and then realise they only tweet about their cats, it’s totally okay to unfollow them. If your interests change, it’s totally okay to unfollow twitter accounts. Hashtags are effectively labels for tweets. If you click on a hashtag, you’ll see a stream of all the tweets using that label. This can be a great way to find people you want to follow. It’s also a great way for other people to find you. See what hashtags are common among your followers and use them. I once followed an author who had a promo tweet scheduled for the same time every day. Once every 24 hours. You’d think that wouldn’t be too much, right? Except there was a typo in the tweet. Every single day. Which made it absolutely clear that she wasn’t tweeting live. I unfollowed. Remember twitter is about connections and conversations. Scheduled tweets don’t enable either. And while we’re at it, Triberr is the work of the devil. Especially when they first come out. That’s part of who you are and what people want to know about you. That’s not a conversation. That’s not squeeing about a glorious review. People are not stupid. They can tell when they are being advertised at. Most of all, have fun, make friends, be yourself. If you’re not being sociable on social media, you’re doing it wrong. Retweeting (RT) allows you to send someone else’s tweet to your followers. Be cautious about this. If they want to follow that other person, they will. You should not be RTing from the same account more than once or twice a week. Obviously there are exceptions at specific times but err on the side of caution. I have unfollowed people who regularly RT someone else I’m not interested in. If you are in a conversation, your tweet can begin with the other person’s @ name. This tweet won’t be seen by all your followers, only the ones who are following both of you. Sometimes, you’ll want that tweet to be seen by everyone. Put a . before the @name to make this happen. DO NOT use the . when you don’t need it. Your followers will see half a conversation. It’s like listening to someone on the train using their phone. Meaningless and irritating.